A thread of wildness unites two otherwise disparate works in Sydney Dance Company’s latest double-bill. First in the night is Wildebeest, by independent choreographer and rising star Gabrielle Nankivell. 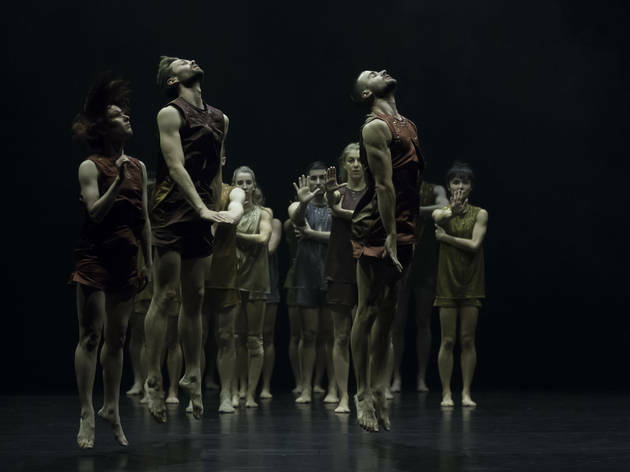 First commissioned and presented by Sydney Dance Company as part of their 2014 New Breed program, Wildebeest appears here a little longer and more refined, but with the basic ideas intact: the dancers as wild animals, alone and in a herd; and the dancers as machine components. The concept is a perfect fit with the dance form, where bodies must function in solos and ensemble sequences. 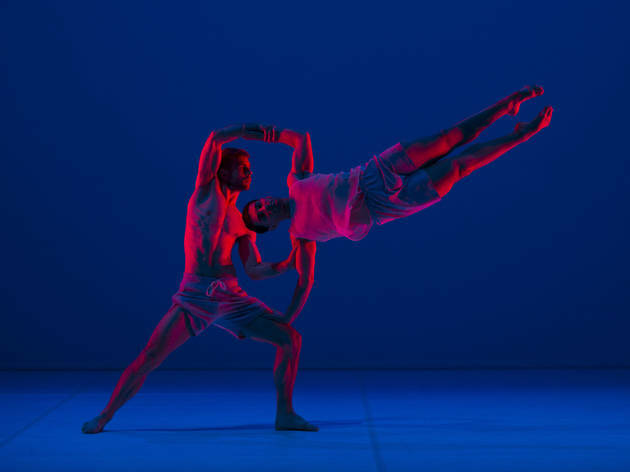 Wildebeest revels in drama, matching primal and electric choreography with an epic aesthetic. In the first ‘act’, a ring of light creates a perimeter of shadows in which bodies churn, running around the edge of the circle as a slight haze evokes sweat rising off a herd; the electronic soundtrack by Luke Smiles is heavy on background atmosphere and peppered with weather effects. A colt takes its first unsteady steps; beasts fight and play-fight, tussling in choreographic manoeuvres that feel exhilaratingly unsafe. The second ‘act’ sees the dancers transform into machine parts – some performing individual functions, others operating as part of a group. The precisely-controlled choreography is breathtaking and menacing at once. 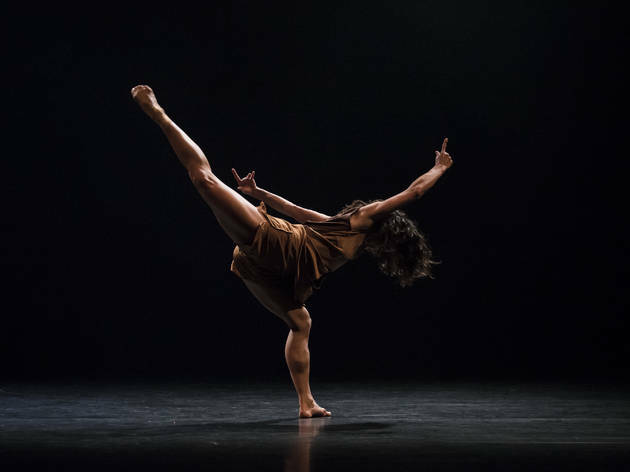 In contrast, a ‘fuse blown’ solo by new company member Latisha Sparks is exuberant and unchained – and beautifully executed. Wildebeest knocked our socks off in its earlier iteration, and is even better here. 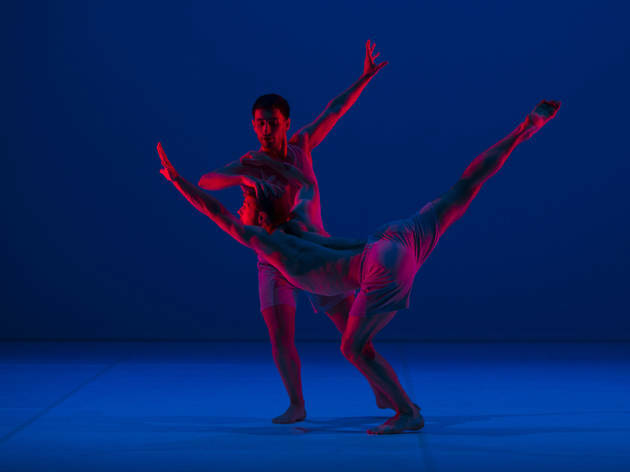 Rafael Bonachela’s new work Anima is in some ways what we’ve come to expect from the SDC artistic director: dramatic choral or string music, bold lighting choices, a refreshing queering of gender lines in his solos, duets and menage-a-trois. Set to (and inspired by) a concerto for cello and strings by Grammy-nominated contemporary British/Bulgarian composer Dobrinka Tabakova, the piece is comprised of four movements that explore kinds and modes of relationship. There’s some incredible dancing from the company ( highlights on opening night included Jesse Scales, Richard Cilli and Holly Doyle) performing extreme choreography with fearless ferocity. For better or worse, a solo between Cass Mortimer Eipper and Petros Treklis that climaxes with them audibly exhausted, panting, eclipses everything around it (the gorgeous neon washes of light that cycle over them during this scene, courtesy of Benjamin Cisterne and artist Clemens Habicht, don’t hurt). When Raf appeared at the curtain call in a Marriage Equality t-shirt, it was an emotional moment.